Anejo (anno) means one year. The minimum ageing period for this highly distinctive tequila. At Corralejo they use only French Oak barrels to produce the softest Anejo tequila possible. 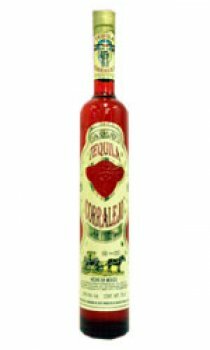 Offered in its distinctive red bottle Corralejo Anejo is the finest example of the tequila distiller's art and skills. Why not sell all 3 Corralejo here? Reposado = World's Best Reposado Tequila 2015, Gold Medal. Blanco = World's Best Blanco Tequila 2015, Sliver Medal. Añejo = World's Best Añejo Tequila 2015, Bronze Medal.